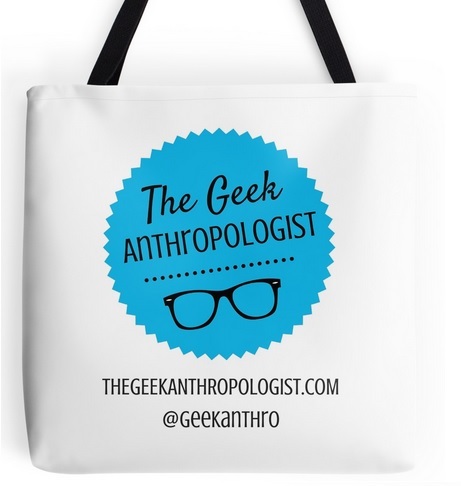 Stop Wasting Time Online (for 5 min) and Read an Anthropology Blog! The Internet is a marvelous invention that has allowed people to learn fascinating new things, stay in touch with people and keep up with worldly events as soon as they happen. It also happens to be the greatest sources of time-wasting zombifying contents you’ll ever find. But why not squeeze in 5 minutes to feed your brain next time you find yourself glued to your computer screen and read about anthropology? It’s cheaper than going to back college and it will still give your new facts and perspectives to think about. Like many other academics, anthropologists have benefited from the advent of the Internet. They’ve created blogs, forums and communities where they can network and discuss common interests. These are great sources of information about grants, jobs, new publications and other recent events that scholars, students and professionals alike might want to keep up with. The Open Anthropology Cooperative is one such example of a place where one can find people to collaborate with. In addition to the purpose it serves for anthropologists, the Internet offers possibilities to share with a broader audience what anthropology is and what it can be used for. Many anthropologists feel that, while academics tend to communicate mostly among themselves about their research, they owe it to the people who take part in their research, or could benefit from it, to share their data more openly. They also often express the feeling that they have a responsibility to participate to social debates about movements, crisis and current events, to demystify them, support marginalized groups or raise awareness about specific issues. For the general public, blogs offer a fascinating anthropological perspective on current events and introduce the discipline and its many aspects. Whenever you want to gain a better understanding of a social phenomenon, you can count on an anthropology blog to help you out. The American Anthropological Association blog, for example, recently published short posts about the Zombie Squad and the Idle No More movement. With the creation of digital libraries, more and more academic papers and books have become readily available though various databases, some of which are Open Access (OA) (they do not require payment or to register through a university or research center). OA has been the cause of very important debates between scholars in recent years. Supporters say scientific work, especially if it’s government-funded, should benefit everyone. In their opinion, making articles and books about recent scientific developments available to all can only accelerate scientific advancement, and is absolutely essential to the training of students. They also insist that it doesn’t make sense, for journals who don’t pay a salary to authors and editors to charge for papers. Such positions are expressed by various authors of the Savage Minds blog, for example (see posts 1, 2 and 3), where I found this great short video that explains what OA is. However, OA publishing is debated among scholars for many reasons. There are, of course, costs to consider: no matter how the content is delivered, it has to be written, corrected, edited, etc. Some journals do need to pay salaries to their staff and some serve a source of funds for departments or research centers. And while publishing online may save one the cost of paper, it requires the maintenance of a website instead. In addition, the validity and credibility of open access publications is questioned by some. After all, anyone can write an article and publish it on their website. Academic papers, on the other hand, are generally peer-reviewed: corrected, closely examined and analysed before being published in a journal. Furthermore, online contents can generate quick responses and comments from readers. Some authors, accustomed to receiving feedback through well thought of, structured reviews of their works, response articles or private correspondence, can feel that their work is being “uglied with obnoxious anonymous online diatribe”. These debates are very vivid among academics and to read more about them, you can check out these interviews on Savage Minds (1 and 2) and this very interesting article on Another Anthro Blog. My objective here, is not so much to make you ponder about the pros and cons of OA but rather to introduce a few sources you can consult to learn more about anthropology, a discipline I find to be incredibly fascinating, live-changing and as well as a promising contributor to world peace (if such a thing is possible). In my next post, I will introduce my top 5 online anthropology sources. Till then, try reading a book or head to Stumble Upon if you get to zombifyed!